Democratic candidate for governor J.B. Pritzker fields questions from high school students during a special episode of “Chicago Tonight” on Oct. 8, 2018. Gov.-elect J.B. Pritzker wants Illinois to become a national model for education, and on Tuesday he announced the transition team that will help guide his policies for trying to make that happen. But Pritzker was unable to say where the money will come from to fulfill that pledge. “There’s no future for the state if we let education drop off the priority list,” Pritzker said, even as he simultaneously vowed to accelerate sending more state funds to needy schools while addressing immediate challenges ahead, including a larger-than-anticipated deficit in the state budget – a budget he’ll inherit upon his Jan. 14 inauguration. Current Gov. Bruce Rauner’s budget office earlier this month released a report that said spending in the 2019 fiscal year is expected to exceed revenues by more than $1 billion. 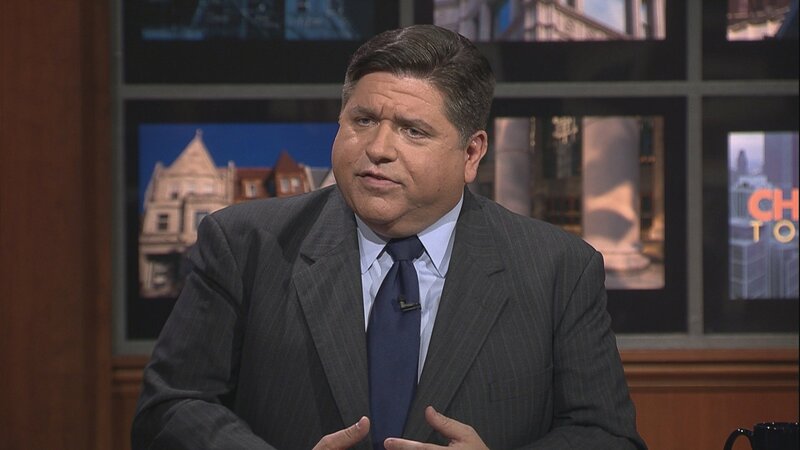 Pritzker campaigned on changing Illinois’ constitution to allow for income-based, graduated tax rates, but has not provided details on that plan. His other suggestions for raising money include legalizing marijuana and expanding gambling. Pritzker announced his priorities for Illinois schools at the Genevieve Melody STEM Elementary School in the West Garfield Park neighborhood, surrounded by members of his newly formed Educational Success Committee – a group of 35 unpaid advisors that will compile a report that Pritzker has promised to make public. Manar spearheaded a 2017 law that changed how Illinois funds its schools, such that the state is on the hook to increasingly send more money to districts with the most financial need. However, it will take years before the neediest schools receive enough additional dollars that they’ll be on par with districts that have wealthier local property tax bases. But it could be hard for Pritzker to square that pledge with other promises, including a truly balanced state budget. He also embraced a contentious plan (Senate Bill 2892) that would require public school teachers be paid a salary of at least $40,000; advocates say it will help address a shortage of teachers, but critics – including Rauner, who vetoed the legislation – believe the expense will put too much strain on districts that already face financial difficulties. Legislators could vote this week to override Rauner’s veto and make the minimum salary requirement state law, but that isn’t expected. The historic 2017 education funding formula revamp included other changes: charter schools are to receive the same per-pupil state funding as other public schools, and Illinois is in the first year of a program that gives contributors a state tax credit if they give to a private school scholarship fund that gives priority to low-income children. Pritkzer campaigned on rolling back the Invest in Kids scholarship program, and he embraced a moratorium on charter schools in Chicago. The Democrat says that does not mean he is opposed to the idea of charters, in Chicago or elsewhere in the state.